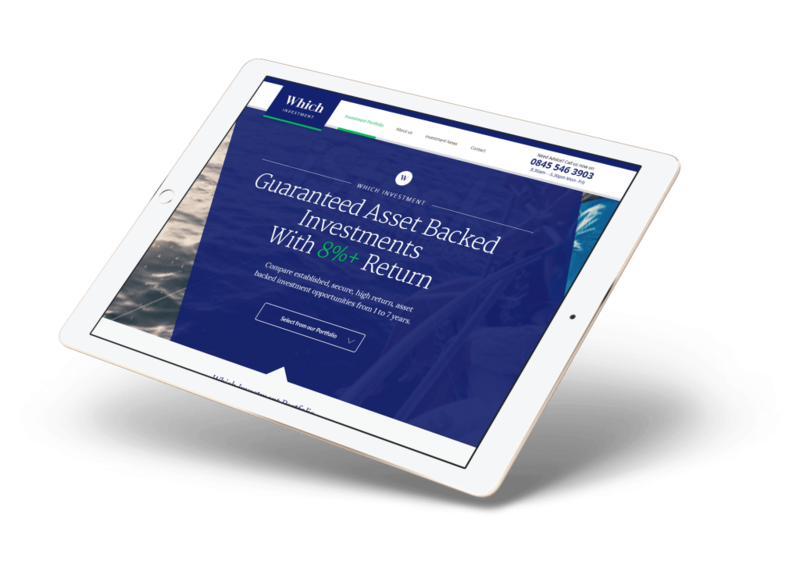 Which Investment is a financial comparison service offering investors asset-backed, income producing investment opportunities such as airport car parks, student properties, and renewable energy. The company was overspending on marketing and not achieving the desired outcomes. As a result, it turned to our lead generation service to take control of the outcomes of its marketing budget. In the internet era, Which Investment recognised the need to focus its financial web design and marketing in order to improve the reach of its business and grow its sales. In an industry where tentative investors could easily lead the company on a journey which ended with no sale, our marketing practices ensured Which Investment received only high net worth investors who we’d placed through our stringent quality screening process to ensure they met specific investment criteria. By tracking the full sales cycle we had the necessary feedback to reposition their offering and reallocate their marketing budget to focus on the advertising sources and keywords which where delivering the big investors. We designed an interactive calculator to empower the user, allowing them to change the value & term of their investment using sliders. They are also given the option to spread the percentage of their investment across a variety of product and gauge their estimated return. Which Investment have enjoyed fantastic results since we’ve worked with them, growing as an investment company on a widespread level. Working with Soap Media has quite literally saved our business! Having dealt with a number of other digital agencies, it had left us jaded with all the smoke and mirrors and we were just burning marketing funds. Finding an agency with a guarantee on lead performance was extremely refreshing and has helped our business hit new levels of profitability.